Well, we seem to have almost totally skipped a couple of years, but the Cosine website finally bludgeons its way into the 21st century. 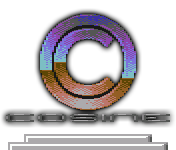 The old address still works (and will continue to for a while yet) but it is now possible to just type Cosine.org.uk into your browser! One new addition this time, 4-Mat's excellent Dentro is officially released to celebrate the updating of the website!